There have been 29 arrests and 25 killed in Iranian protests. Tehran police confirmed that 29 activists, mostly women were arrested for protesting the mandatory Islamic veil . As per Iranian law enforcement, the so-called “foreign forces” have deceived the protesters to take this action. Six more were arrested in other parts of Iran. Women from all over the country have been publicly removing headscarves to protest the strict dress code by the present regime. Social media were flooded with pictures and videos of demonstrators standing waving their hijabs in the air. All those detained were kept in confinement on charges of participating in the anti-government protests. These protests occurred in about 80 cities all over Iran and went on for about a week in the winter of 2017-2018. Security forces killed 25 people. The protests, although suppressed, did not peter out altogether. Sporadic demonstrations continue to happen in the Iranian capital city and around it. Iranian women were compelled to wear hijab after the Islamic Revolution which happened in 1979. Masih Alinejad is the activist who started the social media campaign named White Wednesday, which is against the compulsory wearing of hijabs. Alinejad said the movement is homegrown, and not influenced by external factors. Alinejad lives in the United States. She said that the campaign is not new. It has begun years before. All she had done was to provide them a platform. Holly Dagres, a U.S. analyst of Iranian origin, echoed the same. She said that the Iranian authorities are aware a substantial section of the Iranian population does not want hijab as compulsory clothing. This is the reason, according to her, that the morality police constantly patrols the streets of Iran's major cities. She said that the number of people arrested can only grow as the latter will exhibit solidarity with the campaign. 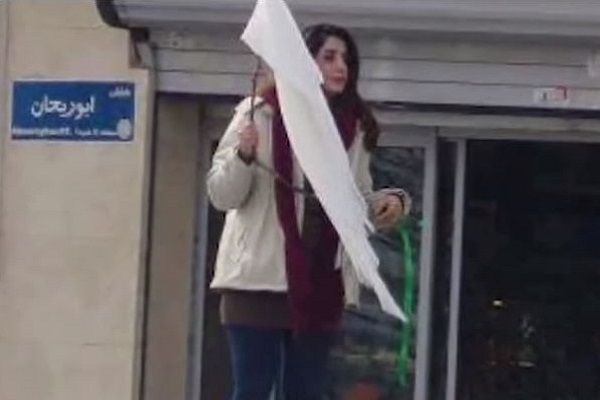 According to Dagres, the flashpoint of such protests was the lone female demonstrator, who was shown on Social Media to stand in downtown Tehran in December waving a white headscarf-presumably hers- on a stick. Vida Mohaved-the woman in question- was arrested. The demonstrators were also protesting the country's moribund economy and rising living expenses. The movement soon became a funnel for the women of Iran to rally for equal rights. A few of the many recent demonstrations were clearly against. Dissenters have also asked Ayatollah Ali Khamenei, supreme leader of Iran, to step down. These demonstrations are a symptom of the struggles between conservative and moderate religious leaders.